As a holiday gift to our clients, we went about creating a product from scratch under the MillerMade™ brand. 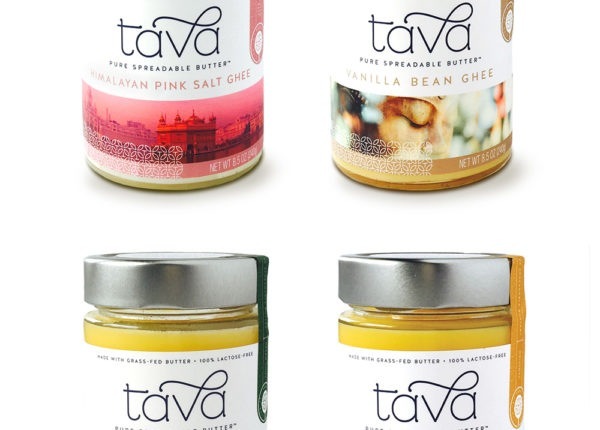 The product is raw honey, packaged in imported Italian glass jars. We sourced the jars, sent them to a small apiary in Northern NJ, who then filled the jars with two types of raw, local New Jersey honey – Clover and Wildflower. The color and flavor of the honeys differs based on the flowers the bees feed from. The honey is raw and extracted by centrifugal action – yielding the purest honey possible, with only obvious impurities filtered out. The final honey is opaque and spreadable and has the taste of flowers. 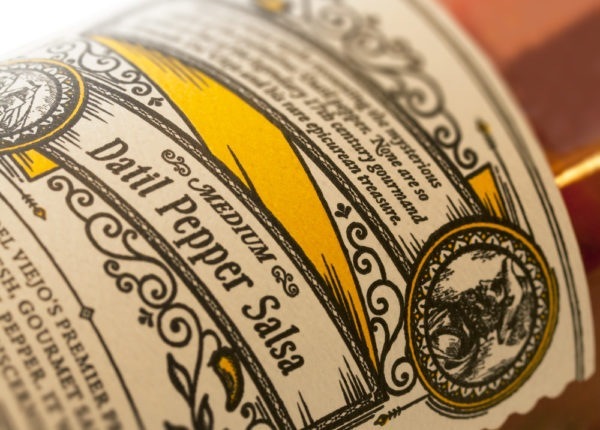 We screen printed and cut each label in-house using a Gocco® press and Silhouette® cutter. The resulting honey packaging was surprisingly professional, and were a lot of fun to make, too! 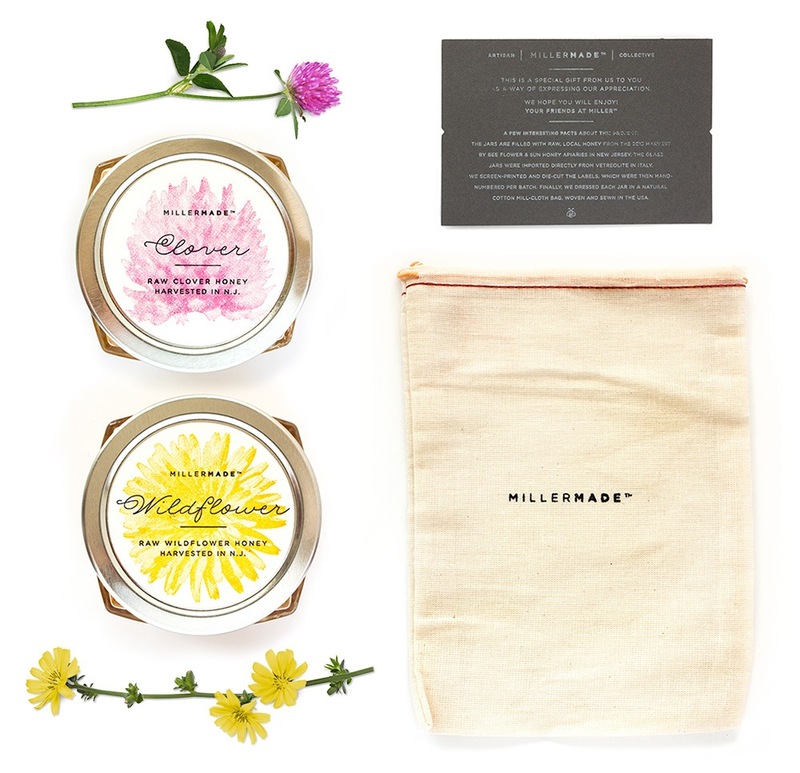 We packed each jar in a small millcloth bag, made entirely in the USA. 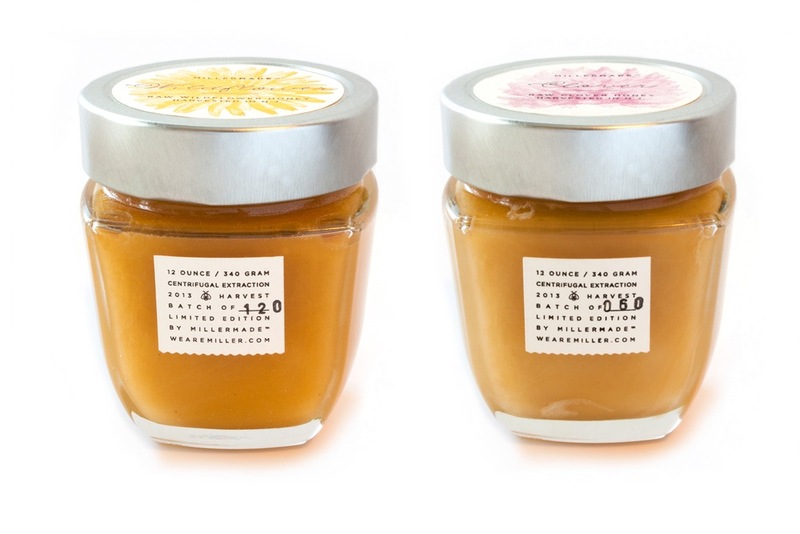 A small card details the steps taken to make this special honey product. A small number of jars are still available for purchase. Contact us if you want to buy some.